Clubhouse staff exchange ideas at the 2018 conference. San Diego, CA – On April 9, more than 200 representatives of The Clubhouse Network will gather at the Hyatt Regency Mission Bay for the organization’s 2019 Annual Conference. Each year, The Clubhouse Network and staff members recommit themselves to the work of closing opportunity gaps by providing underserved youth access to the latest technology and a supportive environment to build their skills. Across The Network, Clubhouse staff are equipping youth with these in-demand skills. In a recent survey of Clubhouse alumni, 82% of respondents said they are currently using the tools and technologies they learned at The Clubhouse. The Clubhouse Network is not just building community and empowering youth, but preparing students for the future of work. A staff member showcases a youth project from their local Clubhouse. At the Annual Conference Clubhouse staff and executive directors from Clubhouse-hosting organizations across the United States as well as Argentina, Brazil, South Africa, New Zealand, Taiwan and beyond will join sponsors and collaborators to hone their skills, share best practices, and strengthen the collaborative community among the participants in this global organization. “At the Clubhouse, youth are inspired to channel their creativity through technology,” said Gail Breslow, Executive Director of The Clubhouse Network. 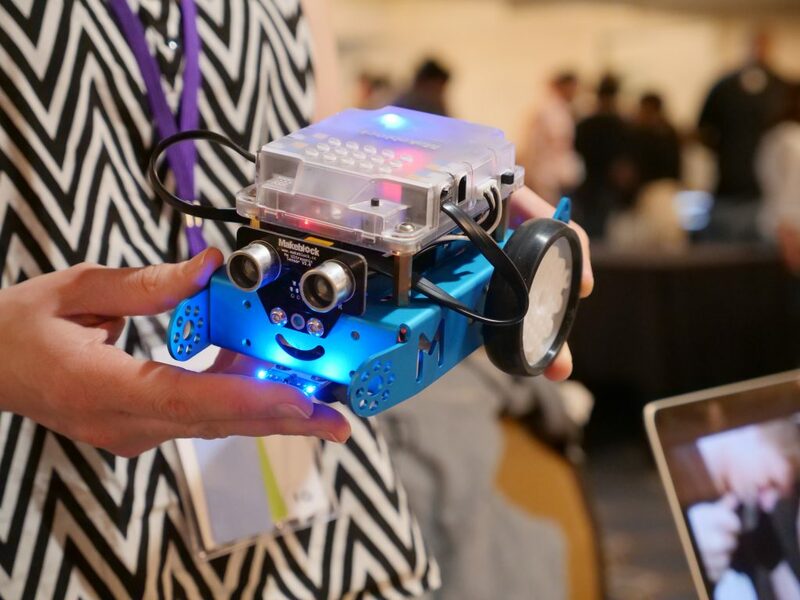 “The staff who nurture young people and their creativity are the most important ingredient to a successful Clubhouse, and we are thrilled to provide an opportunity for them to gather in San Diego for three days of professional development and personal growth.” The 2019 Annual Conference of The Clubhouse Network is sponsored by Best Buy, with support from Facebook, PwC, the MIT Media Lab, and others. 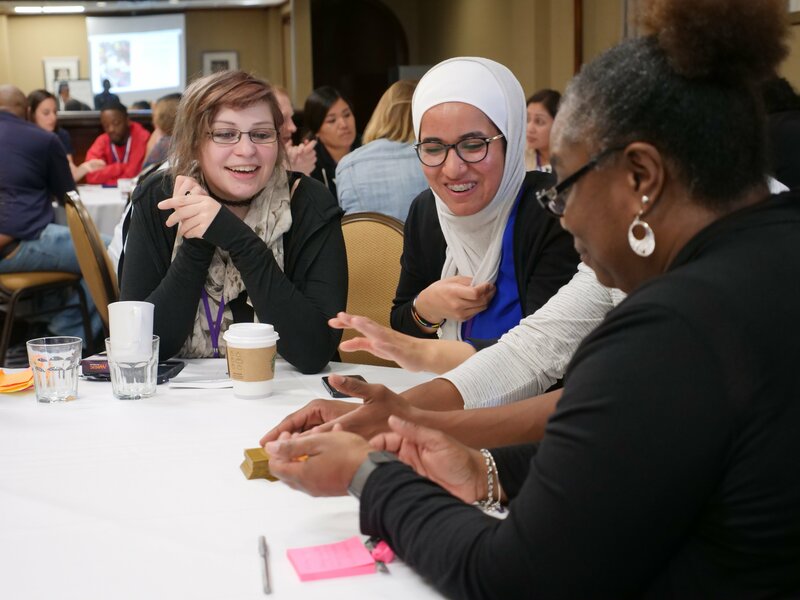 The staff who nurture young people and their creativity are the most important ingredient to a successful Clubhouse, and we are thrilled to provide an opportunity for them to gather in San Diego for three days of professional development and personal growth. The theme of this year’s conference is “Building a Diverse and Inclusive Creative Community.” The Clubhouse Network is a diverse community and recognizes that as a strength. This conference will explore how to amplify and leverage this organizational strength to impact the lives of youth around the world. Diversity often enhances creativity but only if there is a culture of sharing knowledge. We also know diversity isn’t always easy to navigate. Murray says the conference will explore best practices for helping move beyond diversity to inclusion, equity, and belonging. Speakers and sessions will look at ways in which Clubhouses are developing the leadership of their youth and staff and integrating the community into their organizations. Topics to be discussed include “Navigating Non-Inclusive Space as a Person of Color” and “Empowering Youth to Tell Their Personal Story.” A project fair will allow each Clubhouse to showcase projects and technology innovations from their local community and youth. The Clubhouse Network Annual Conference will take place April 9-11, 2019 at the Hyatt Regency Mission Bay Spa and Marina Hotel in San Diego, CA. Welcoming remarks will be provided by Tish Murry, CEO of the San Marcos Boys & Girls Club. The Boys & Girls Club of San Marcos is part of a nationwide movement of community-based, autonomous organizations and Boys & Girls Clubs of America working to help youth of all backgrounds develop the qualities needed to become responsible citizens and leaders. The Club is committed to serving the needs of youth, ages 6 to 18, during the critical hours when they are out of school and away from parental supervision. The Club gives children what they need most: a safe environment where they can have fun and be themselves, adult role models who respect and listen to them, and interesting, constructive educational and recreational activities that channel youthful energy into challenging and productive pursuits. The Best Buy Teen Tech Center @ Boys and Girls Club of San Marcos, presented by Sony, is located in the Teen Center of the Jennifer Loscher Branch. The area houses start-of-the-art technology, offering teen members, ages 13-18, the opportunity to explore and collaborate with peers and adult mentors through project-based learning. Members can explore a wide several different areas of technology including graphic design, sound and video production, digital photography, and more. Across the country, many communities lack support and access to the tools and experiences that can unlock a better future and prepare teens for the challenges ahead. Since 2012, Best Buy has partnered with The Clubhouse Network to bring Best Buy Teen Tech Centers to 21 different U.S. cities, with a plan to launch 16 more in 2019. As members of The Clubhouse Network, Teen Tech Centers embrace The Network’s unique mission and proven learning model.